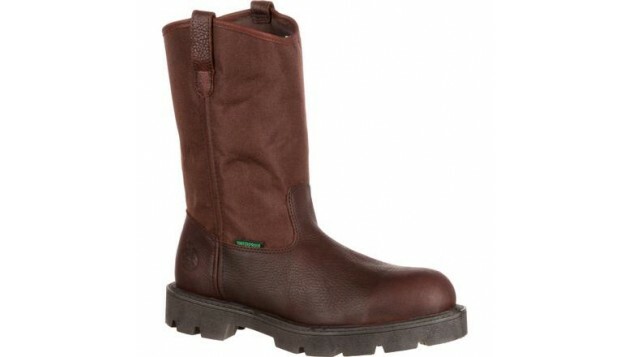 The Georgia Homeland Steel Toe Waterproof Wellington is part of the Homeland Collection. Technology-driven comfort. This pull-on boot offers you safety on the job as it is ASTM certified for its steel toe and electrical hazard protection. Full-grain waterproof leather with 900D CORDURA® fabric keeps you dry in rainy and muddy conditions. 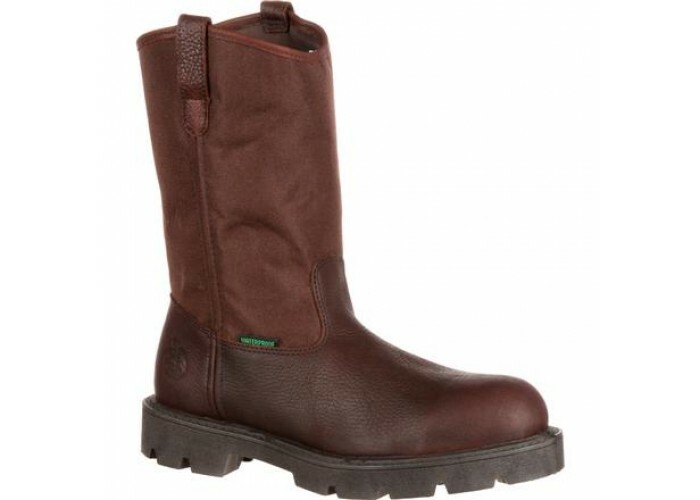 As with all footwear in the Georgia Boot® Homeland collection, this shoe has a direct-attached oil-resistant PVC outsole for flexibility and comfort. The Homeland's polyurethane TDC footbed never breaks down and has channels to promote air circulation, helping keep your feet cool all day.